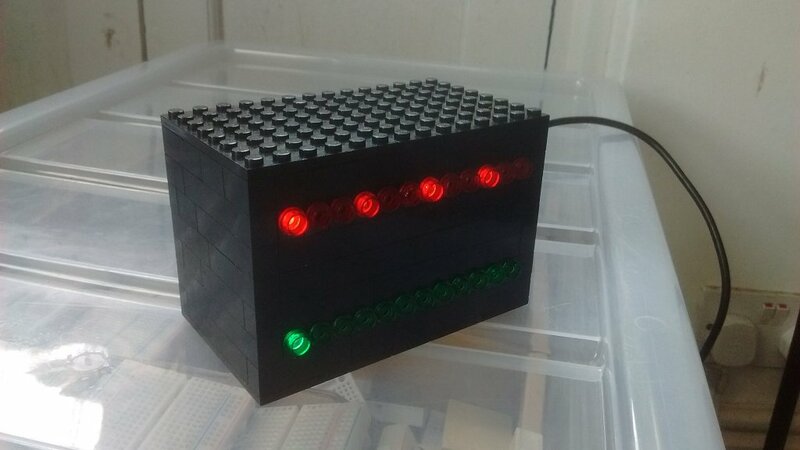 The LED Clock project builds on the Alarm Clock Project, adding a display of the time by illuminating 24 high-powered LEDs. 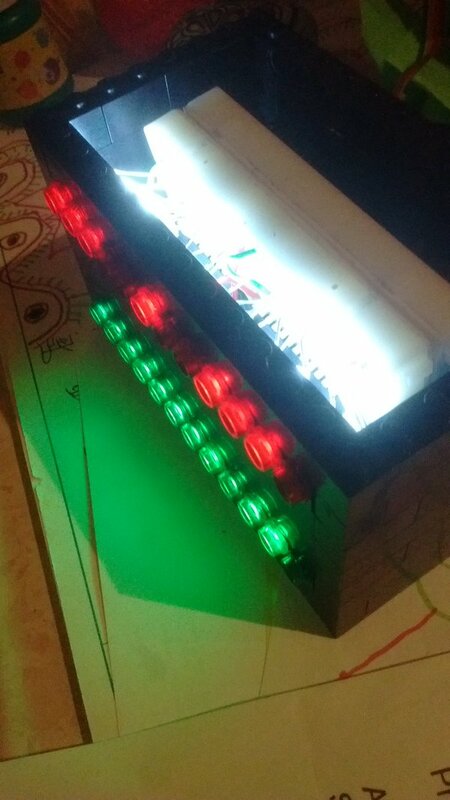 The time display uses 12 LEDs for the hour, and 12 LEDs for the minutes, so the example pictured shows 2:50pm (2 of 12 hours in one row, and 50 of 60 minutes in the other). 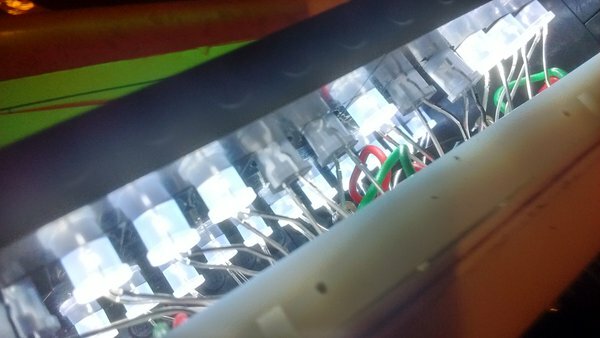 Click on the project menu above for resources, such as our step by step wiring instructions and example programmed behaviours. 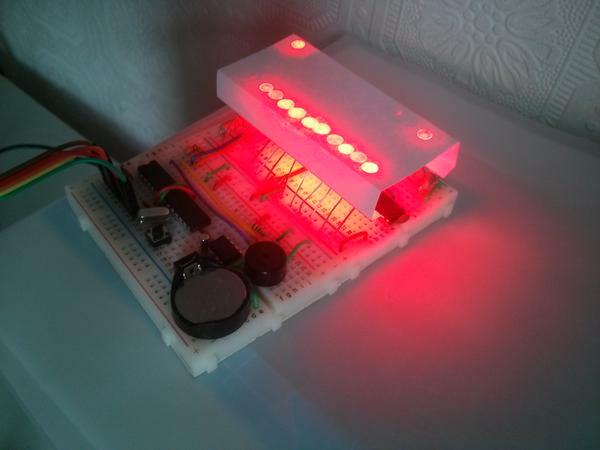 For a more compact build, the two breadboards can be placed back-to-back and housed in Lego.